Wish a very Merry Christmas to the whole family when they each have their own Embroidered Black Merry Christmas Stocking. 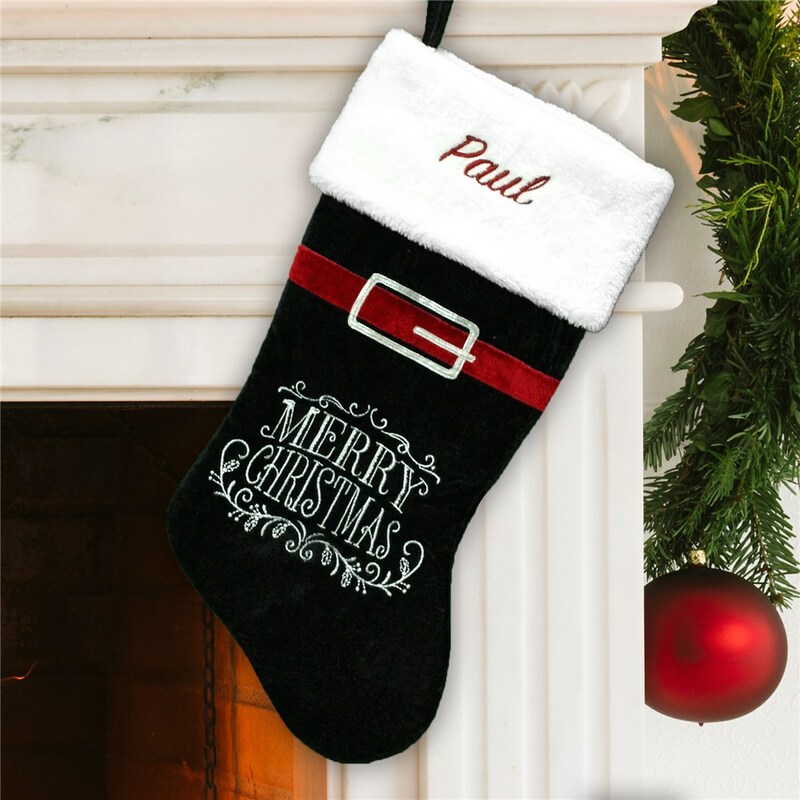 Additional Details Ring in the holiday season this year with one of our great personalized Christmas stockings. GiftsForYouNow has a lot to offer in the stocking department, like this classic red plush stocking and this Scandinavian print stocking.